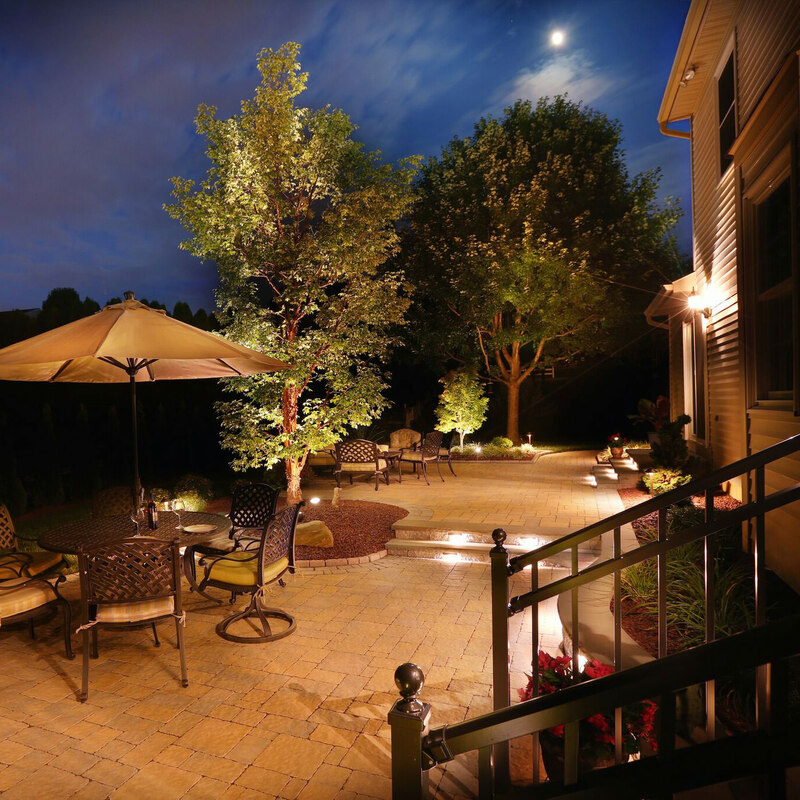 While every homeowner longs for a beautiful house to return to every night after working a long day, the same can also be said for the backyard, especially on the weekend. The backyard is our respite, our haven, our escape! The perfect backyard takes a lot of planning and saving, and it is crucial to employ the right professionals to guide you along the journey. However, there are some things that you can do to your backyard in the meantime of saving for the whole enchilada. Here are our top 5 tricks to give your backyard a cozy and charming feeling. 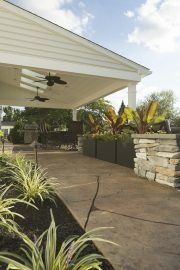 Planters are dependable and versatile, they belong in every outdoor living space! Planters come in all shapes and sizes, so it is easy to find the perfect silhouette and shade to suit your space. Planters are actually an effective way to create outdoor “rooms”, providing boundaries within your living space, yet still keeping the space natural with the incorporated plants and flowers within. The plantings are versatile as well, and it is recommended to let your creativity fly to pair the plantings with the season! Adding seasonal color and texture in the colder months is as easy as planting white birch and holly branches, and in the summer feel free to plant tropicals. While tropicals are annuals, they provide that certain vacation feel, creating a more soothing environment. It is easy to go wild with backyard accouterments, but it is best to keep the accessories to a minimum and a color scheme. Coordinating colors throughout your outdoor living space will bring cohesion to the area, almost as if a professional designer showed you the way. Warm tones bring the cozy feeling to life, as they are rich and comforting. Harmonizing the space with big comfy furniture provides areas to unwind and forget about the day. 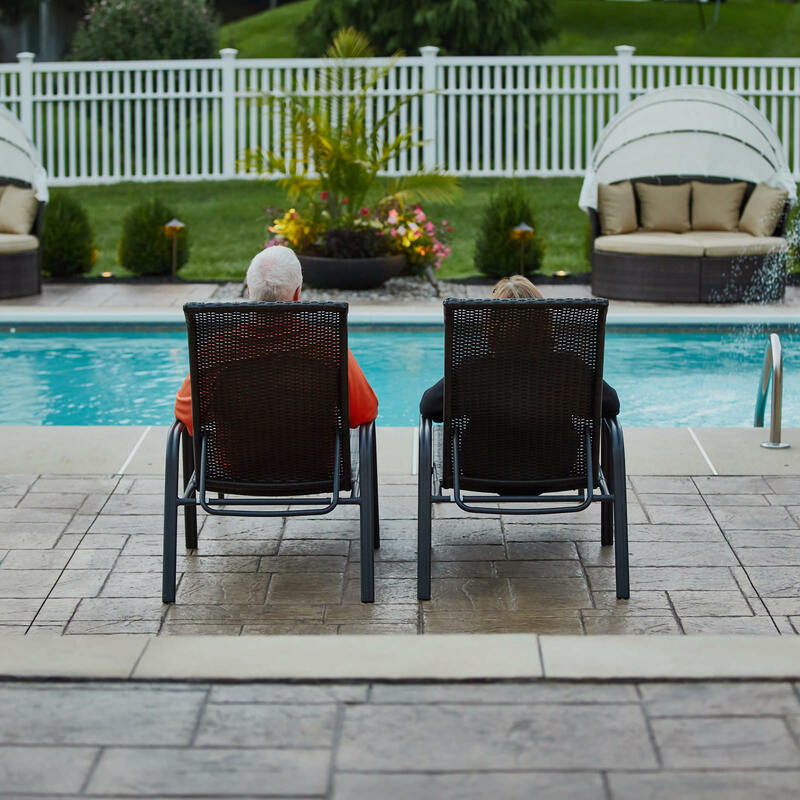 Being comfortable in your outdoor living space is the epitome of an outdoor oasis. Do you love your space, but hate your view? Try a natural boundary; plantings are vital in providing the feeling of privacy and protection! Landscaping is very multipurpose in the fact that it can create privacy borders and enclosures, embellish outdoor features and provide a softened feel to the backyard, all at the same time. Plantings near your outdoor living spaces will provide fresh oxygen and create a calming space to relax in, bringing the comfort level to an all-time high. Implementing a pergola or a roof structure is the perfect solution for protection from the elements. While you should consult the professionals when your aesthetic needs turn into structural elements, one thing is certain, you can’t argue with the beauty and function that a shade structure brings to your backyard. Is the midday sun too harsh? Did a sudden rainstorm pop up in the middle of your picnic? Have no fear, you’re prepared! Not only will your outdoor living space look amazing and welcoming, but you can have comfort in knowing you are protected. 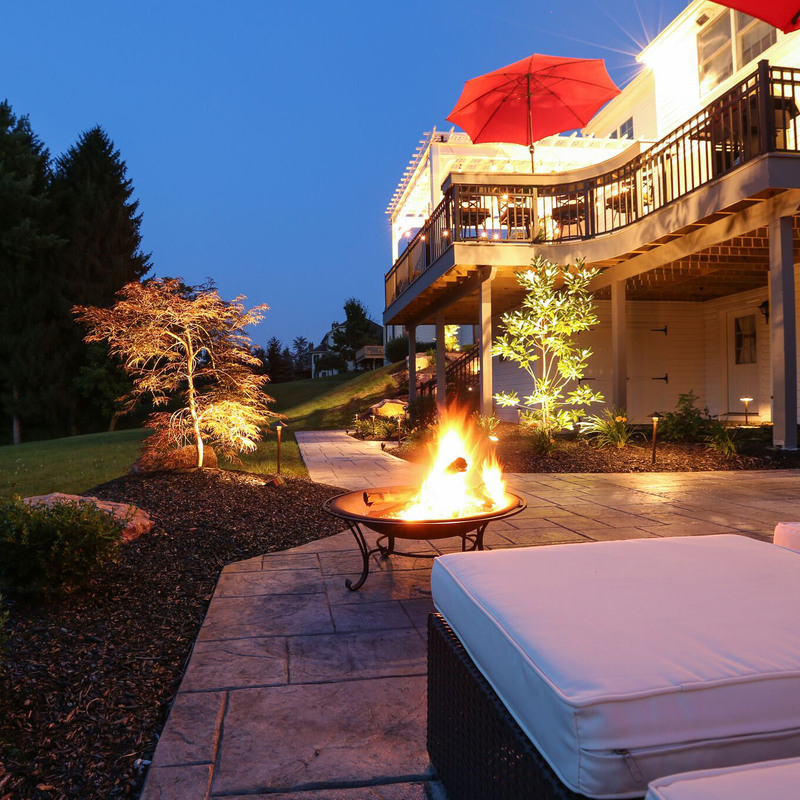 These days, there are so many options for outdoor fire features! First, decide how you want to use your feature. Are you looking for a versatile unit that shapes to your needs, will it primarily be a place to gather around and spend time with your family, or are you looking for a more intimate setting? Portable fire pits and fire tables are perfect for the family who constantly have different outdoor needs. Portable units can be relocated or stored away to make more room, as you see fit. For a more permanent congregation area, a masonry fire pit is just what you need. Whether the fire be wood burning or gas lit, it will illicit laughter and the smiles all the way around. However, the coziest feature of all is an outdoor fireplace. Cuddling up to that special someone or just lit for ambiance, a fireplace is the ultimate in beauty and function; the chilly nights will never be so inviting! Implementing these few designer tricks of the trade will guarantee that your outdoor living space will gain style points as well as create a space that you love to be in. The homes in our area have breathtaking backdrops, and adding a few extra touches to your outdoor living space can only enhance what is already there. 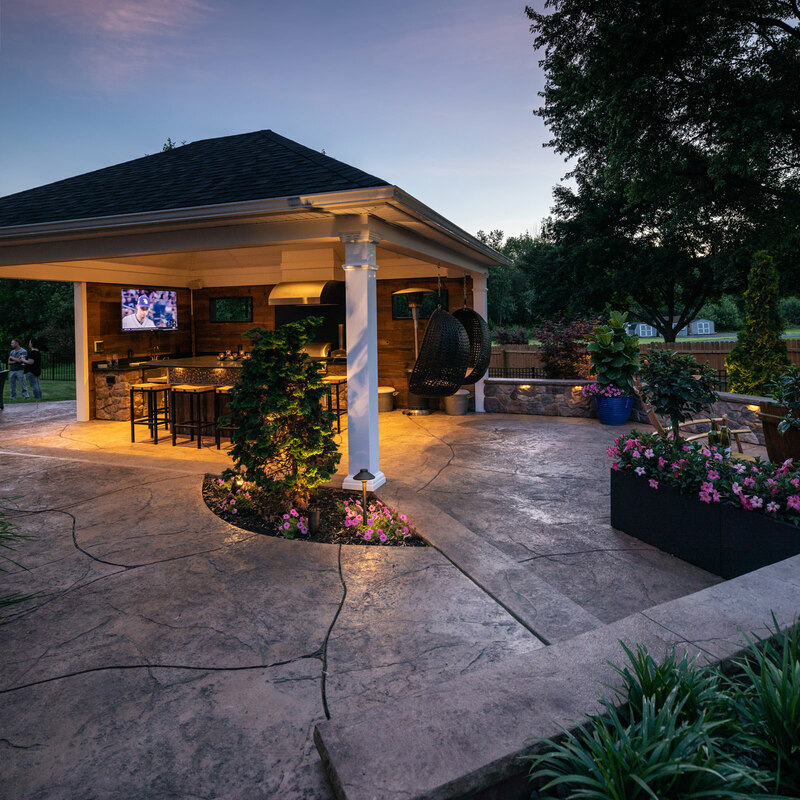 MasterPLAN Landscape Design would love to sit down and chat about the possibilities for your backyard; our ultimate goal is to provide an outdoor living space you never want to leave. When you are ready, feel free to reach out to MasterPLAN to start a conversation!